I love this “formal” shot, because it’s not so formal. The precious ring bearer gazing up at the beautiful bride and the cute little flower girl standing on the sides of her feet made this my favorite from their wedding. 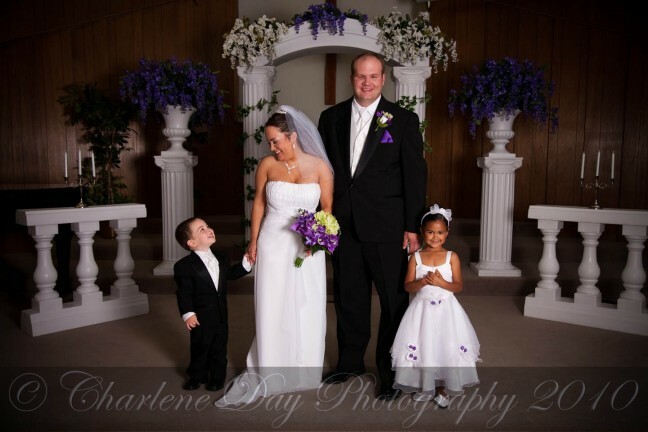 Brian and Jamie were married in Tuttle, Oklahoma. This was written by charlene. Posted on Friday, May 14, 2010, at 1:21 pm. Filed under Oklahoma, Oklahoma City, Weddings. Tagged Oklahoma, Oklahoma City, Tuttle. Bookmark the permalink. Follow comments here with the RSS feed. Post a comment or leave a trackback.